The Wikipedia articles about Vlad Tepes and Castle Poenari are pretty cool, particularly the Vlad one. Another noteworthy bit of information I picked up in wandering around Romania, which is useful if you’re going there: the castle name is pronounced something like “po-ee-NAR”; in the Romanian language, an “i” at the end of a word is (almost?) always silent. The last “r” is a bit rolled, like in Spanish, but due to my years in France I’ve spent too much time learning to pronounce the French “r” and I can’t do the Spanish one at all. At the time I started researching my trip, one of the very few existing webpages about Castle Poenari was this fantastic article called A Night in Dracula’s Castle, by an American journalist who spent the night alone in Castle Poenari a few years before it became a somewhat-known tourist attraction. It’s a great story, and it really inspired me to get serious about making the trip myself! The area where he talks about sleeping is certainly the tower archway, as it’s the only part of the castle that has any kind of covering at all. It was amazing to stand in that spot myself and imagine trying to survive a whole night there with the wolves, bears, and vampires. 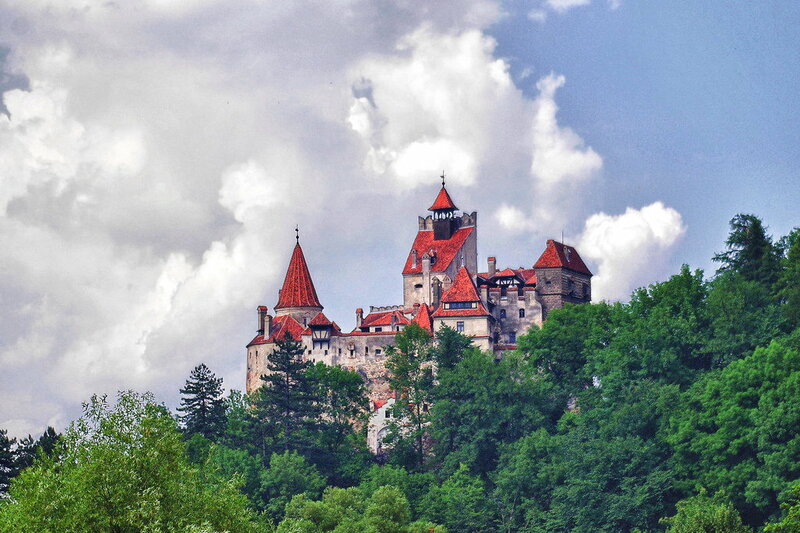 Check out this page of German Stories About Dracula, a collection of delightful and probably apocryphal stories about Vlad Tepes, the historical Dracula, and his legendary fearsomeness and cruelty.